Ask yourself ‘Why?’ in relation to everything you do. If the answer is ‘to fill time’ you need to rethink it. Think outside the box – don’t just do what you’ve always done. Be flexible. Be prepared for the coach to be late or different pupils to the ones you were expecting. Always have a Plan B. Be realistic. Plan for what is achievable. Be patient. For the majority of those involved, engagement is an additional responsibility and as a result responses to emails etc. may not always be immediate. Always keep the school calendar in mind. Stay positive. Things may not always go to plan due to things outside of your control. This does not mean the partnership has failed. Make sure there is a shared agenda and that everybody involved knows what this is. Be prepared to reiterate this as necessary. 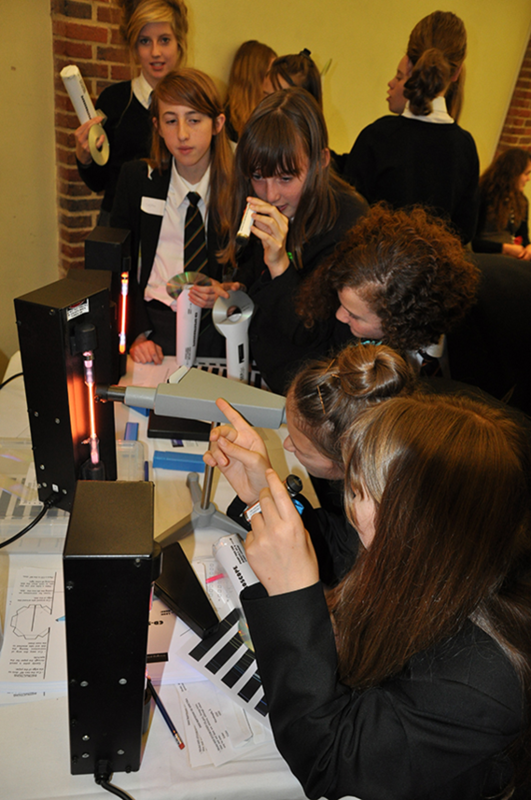 Year 9 girls investigate the visible light section of the electromagnetic spectrum during a Dragonfly Day workshop.